A statue manufactured by Cannock based Laser Cutting firm Laser Process to commemorate Erasmus Darwin has been erected on Cathedral Walk in Lichfield. The work, which will be officially unveiled in May 2012, was one which held particular resonance for Laser Process managing director David Lyndsey: “I was born in Lichfield so it’s particularly nice to be involved in something like that happening in your home town” he said. Erasmus Darwin was a renowned scholar and the grandfather of Charles Darwin, the author of The Origin of the Species 150312-1. The statue represents the four major aspects of Darwins career: botany, medicine, science and writing. Laser Process were responsible for the production of the figures in stainless steel which were then assembled and installed by Marine Fabrications. The Darwin Walk Trust were responsible for the funding and planning of the work. This is not the first time that Laser Process have been involved in innovative public art projects. 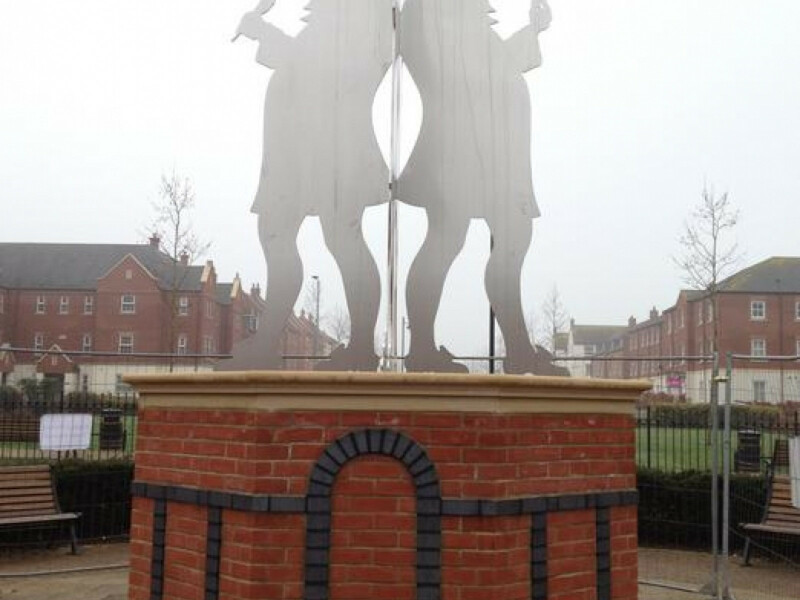 The company secured a lucrative contract to produce 240 life-size statues for installation along Britain’s footpaths and cycle ways as part of the project led by transport charity Sustrans. This has seen the company produce mimics of famous figures such as Gary Barlow, Stan Laurel, Rob Brydon and footballer Ledley King in their respective local areas, affording national exposure to the handiwork of the Midlands firm.